I’m excited to celebrate this wonderful holiday with people I love. I’m also excited that I’ve been trusted with bringing a vegetable dish to this year’s celebration. My assignment has been upgraded from dinner rolls and beer, which is quite an accomplishment. Apparently I can now be trusted with contributing “real” food. I am officially an adult in the eyes of my family. In addition to my vegetable dish, I will be bringing a hostess gift. This will further solidify my status as a grown-up and will also show my mom how thankful I am for her hard work and her effort in preparing our special Easter meal. If you’re lucky like me and don’t have to host an entire Easter brunch or dinner, perhaps you’ll want to bring a hostess gift, too. 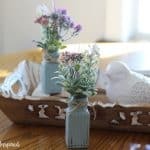 I love DIY hostess gifts because I think they show that you put extra thought into what you are giving the recipient. 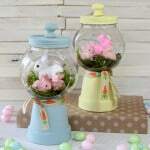 And, there are plenty of simple yet beautiful DIY hostess gifts that you can make for Easter. Six of my favorite are right here! P.S. No time to make something? No worries! I’ve got several options you can purchase on Amazon for speedy delivery at the bottom of this post! 1. 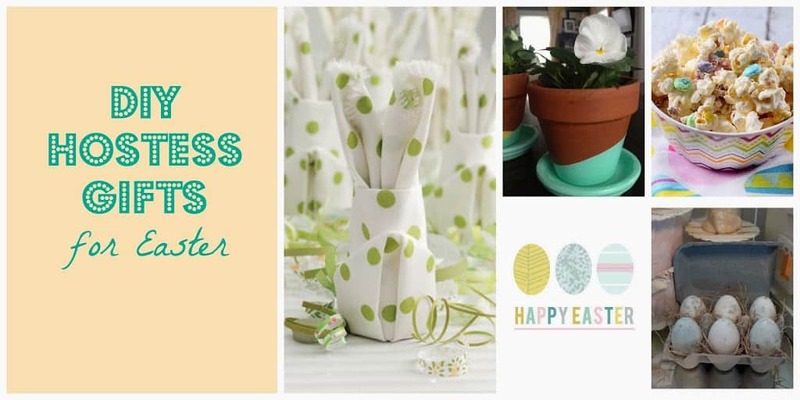 Bunny Napkins – Taste of Home: Purchase some cute fabric napkins and fold them into a bunny shape with the linked tutorial. This gift is festive and functional! 3. White Chocolate Easter Popcorn Mix – Life’s Ambrosia: Food is always a wonderful hostess gift, and this popcorn mix is sure to be no exception! Package it in a cute bowl or mason jar and you’ll have a tasty and pretty gift. 4. Egg-Shaped Soap – Rook No. 17 (for My Repurposed Life): Make the hostess some decorative soaps with plastic Easter eggs as the molds! Packaging them in an egg carton is also an adorable touch. 5. 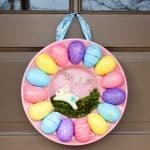 Easter Printable – Visual Eye Candy: Download this adorable free printable and put it in a frame. Your hostess will have a cute decoration for years to come. 6. 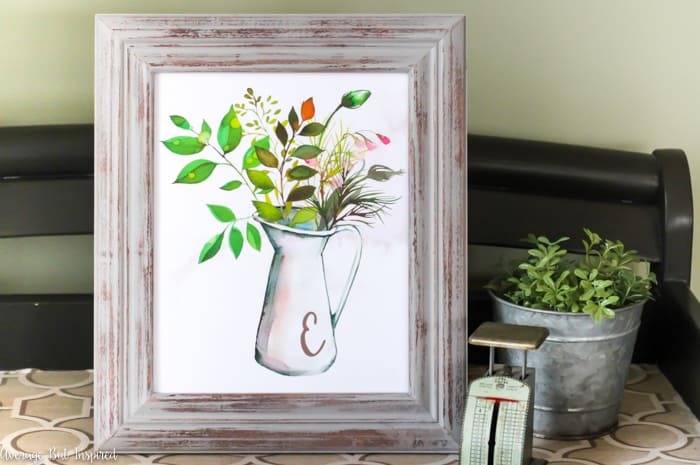 FREE Monogram Spring Botanical Pitcher Printable – from yours truly, Average But Inspired! It’s available in all 26 letters. Just download, print, and pop it in a frame! So cute and so personal. No Time to Make a Gift? Here are Some Quick-Delivery Options for You! These are affiliate links. Simply click a picture to shop! To read my full disclosure policy, please click here. Happy Easter to all of you (especially to all of you hosts and hostesses)!